Camp Peaks day camp is held at The Presbyterian Church of Floyd, in partnership with Zion Lutheran Church, each summer. 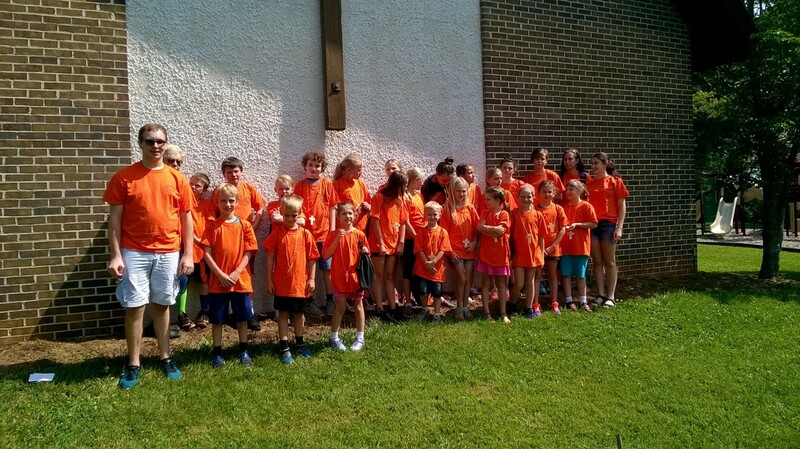 This day camp is a travel program of the Presbytery of the Peaks and brings fun and opportunities for growth through music, games, worship, hiking, crafts and more. Camp Peaks is for children ages 5-12 years old. This year our campers volunteered at Plenty! Farm & Food Bank. Plenty! nourishes community and preserves Floyd County traditions by encouraging neighbors to grow and share food while enlivening the greater conversation about sustainable food practices.We are neighbors working together on local food projects. Our programs include Portable Produce, Preschool Produce, Kids Wonder Garden,Floyd Community Garden, Sunbonnet Gang and Healthy Snacks.